Once again I'm jubilant to review some more beautiful dresses from my one and only the most favorite Biba. 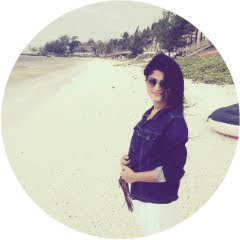 I've been in Goa with my husband for sometime and it was a beautiful experience. adored the beaches and the chapels, Planning to post about the trip in detail *fingers crossed . Back to the review, We all know how exquisite designs and patterns Biba provides and being a Biba fan I never miss to explore the stores and get my hands on the new collection. In today's post I've got few kurtis and dresses which I can wear on any occasions, at work, brunch, or at shopping simply adore them. 1. BIBA OFF WHITE COTTON PRINTED SUIT SET. 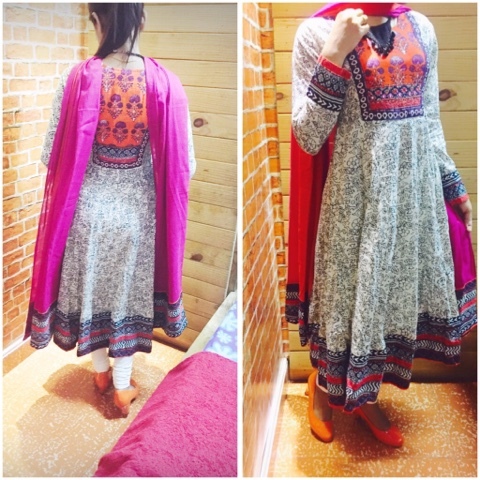 Its a full length, full sleeves cotton churidar kameez dupatta with a mandarin collar. I adore dresses with mandarin collars it really enhance the look. This off white suit exhibits a stunning print with a great colour combination. It is perfect for a party or weddings, This suit set will allow you to stay fresh and comfortable all day long. Also a set of earrings will do wonders for a great ethnic look. A nice pony tail or a side braid will complement the attire. 2. BIBA PINK COTTON PRINTED SUIT SET. 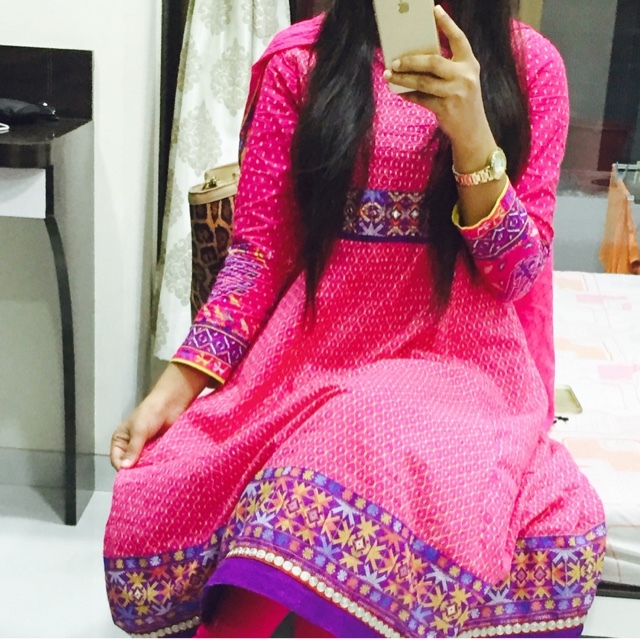 This gorgeous pink colour dress is my favourite ethnic wear.It is so soft and comfortable that I keep wearing it after every alternate day at work. It has a pretty flared kurta with a dazzling pink colour dupatta. This looks immaculate and pretty after worn with minimal accessories. 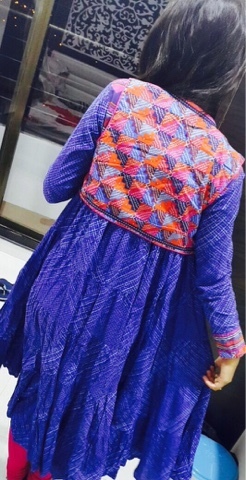 Its a full length, full sleeves, round neck kurti. Again a side braid or open hair would boost the look. 3. BIBA COTTON BLUE ANARKALI. 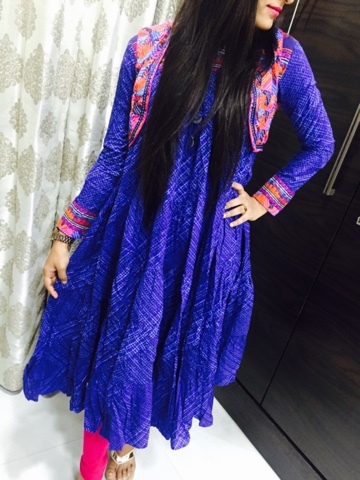 Its a pretty long blue colour cotton anarkali kurta with a printed jacket. It looks elegant because of the jacket and as its not a full set so you can pair it with a pink colour churidar or leggings. No need to carry a dupatta, the jacket does it all. This kurti is extremely flared and the colour combination boosts the look of the attire. Open hair with minimal or no accessory will complement the attire. 4. 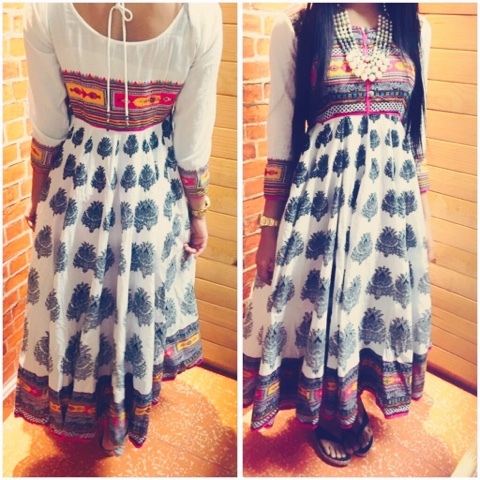 BIBA WHITE PRINTED ANARKALI. This cotton kalidar kurta with kalis adorned on the ghera look so elegant and exquisite. The kalis on the border enhance the look and a back neck tie up gives a golden touch. pair it with a yellow or pink churidar for a perfect day out. Once worn it at a traditional day at work with a bright pink lipstick and a pearl necklace with open hair. Got lot of complements for the look. This kalidar cotton kurti is also available in black colour. 5. BIBA BEIGE AND ORANGE COTTON KALIDAR SUIT SET. 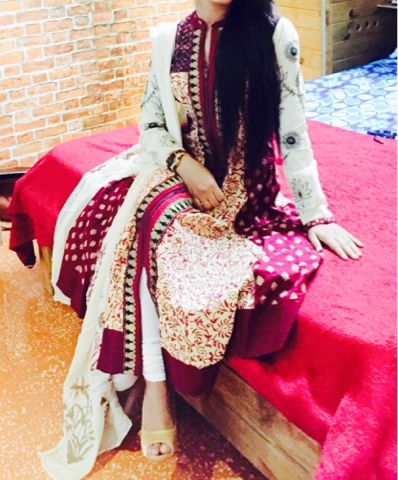 This Beige and Orange cotton kalidar suit set looks feminine and stylish. It has been crafted using pure cotton material for all day ease. Pair this suit set with matching heels be it a pumps or stilettos both goes on really well. Here I had paired it with glossy orange pumps and a black necklace. A high pony tail and a orange lipstick looks awesome to complement the attire. Once again I was really excited to post something new apart from makeup. 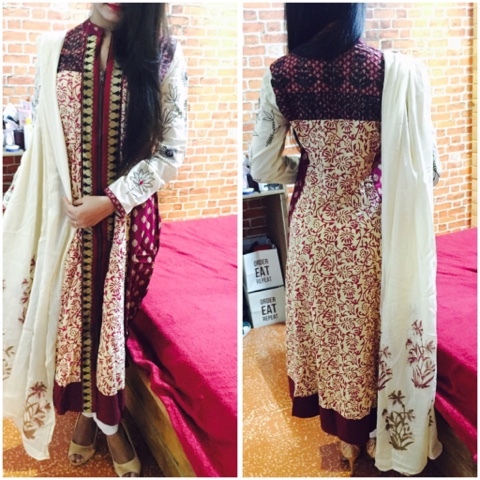 My previous post on biba ethnic wear was appreciated a lot and that inspires me to try new things. There's more to come, The next post will be based on accessories hope you'll like it. keep visiting the blog. For any queries or feedback feel free to contact, you can send a mail. 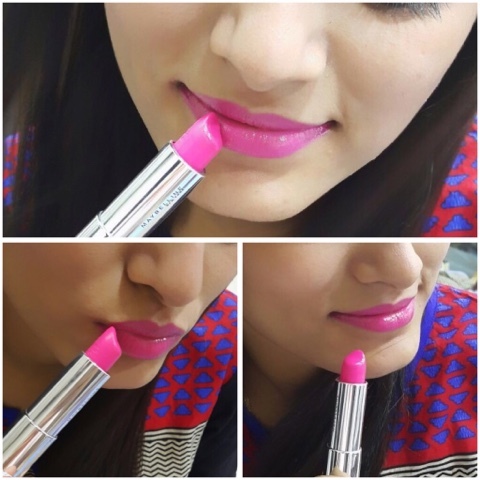 Todays review is about a must have pink lipstick by Maybelline. I have few more lippies from this brand and they are truly worth and amazing. Looking forward to review all of them in the coming posts. Lets get started with this pink beauty. 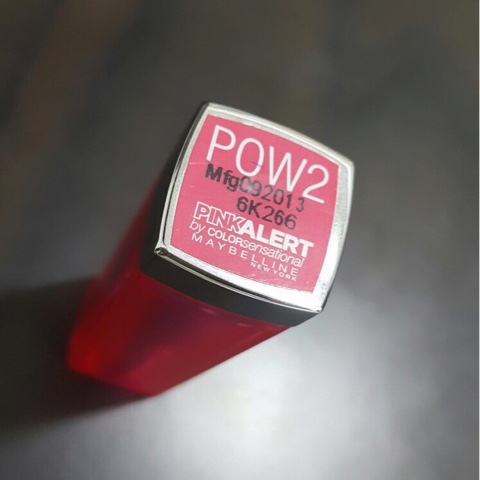 Maybelline Pink Alert Lipstick POW 2. All the shades in pink alert range are very eye catching pinks. Out of the four pinks I like pow 2 the most. Its a pretty hot pink shade (neon) that suits almost every skintone. It has honey nectar that moisturises the lips and gives a creamier feel. The packaging of this lipstick is very classy and girly and travel friendly. The texture is creamy and moisturising, It glides on smoothly and very hydrating. 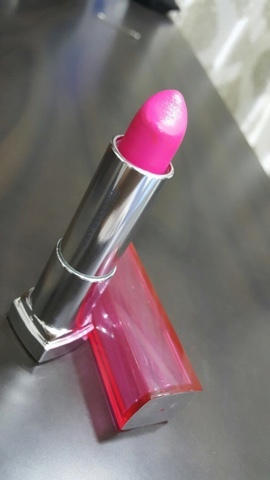 It is glossy and a bit sticky, This can be a drawback for this lipstick because I personally don't like sticky texture. 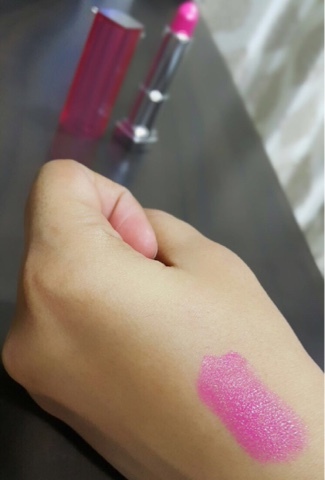 The lipstick is very pigmented and gives a opaque finish. It can last for 6-7 hours which is really a great deal for the price but it transfers which is fine because still it reasonably stays for long. This blue toned bright neon pink lipstick is affordable and highly recommended. I'm back with a new haul and first post of the year. I have got few important stuff this time and lot of lipsticks but lipsticks will be reviewed in detail in the coming posts. I have got a new shampoo and a conditioner, Nail paint, Face moisturiser, Body butter, Concealer and a Charcoal base line kit. All the products are perfect for the weather (fall). 1. 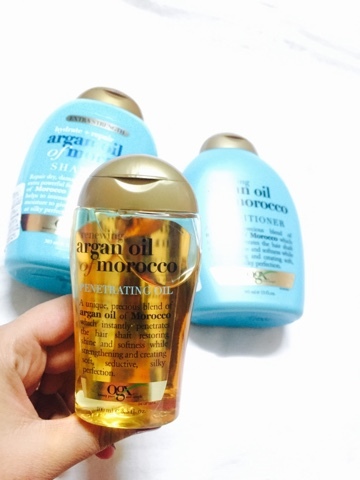 OGX RENEWING MOROCCAN ARGAN OIL SHAMPOO. Its a sulphate free shampoo. 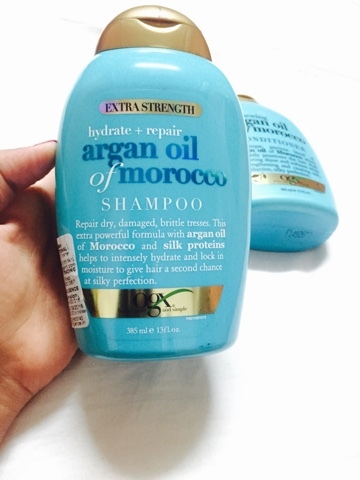 The blend of argan oil of morocco helps repair even the most severely dry, damaged strands, drenching them with hydration, strengthening from within and creating soft, seductive, silky tresses. For climate like winters Its a perfect pick for softer,smoother and healthy hair. 2. 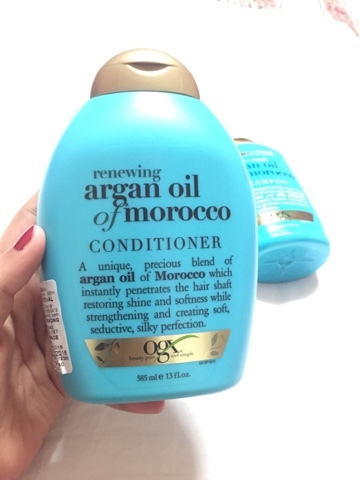 OGX RENEWING MOROCCAN ARGAN OIL CONDITIONER. Again its an exotic, precious blend of argan oil of morocco which instantly penetrates the hair shaft restoring shine and softness while strengthening and creating soft, seductive, silky perfection. The hair remains soft and healthy for a longer period of time and somewhere I experienced that it also reduce the hair fall issue. Highly recommend this conditioner. For best results use in conjunction with Argan oil of Morroco PENETRATING OIL. 3. JERGENS SHEA BUTTER DEEP CONDITIONING MOISTURISER. Im so glad I bought it, Its the most amazing moisturiser I have ever come across. Simply in love with it. It can be applied on face, hands, feet and all over the body.The formula absorbs quickly. Gives a radiant, long lasting hydration. Improves the skin tone and gives a nice shine too. 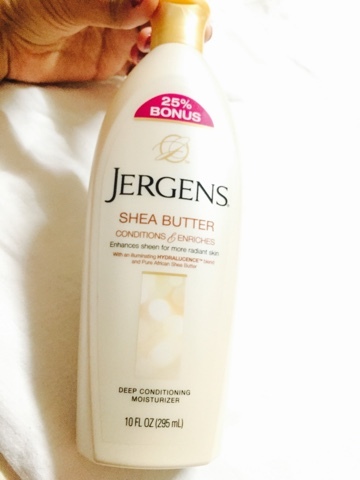 I don't think I'll use anything else other than jergens. Highly recommend this product. 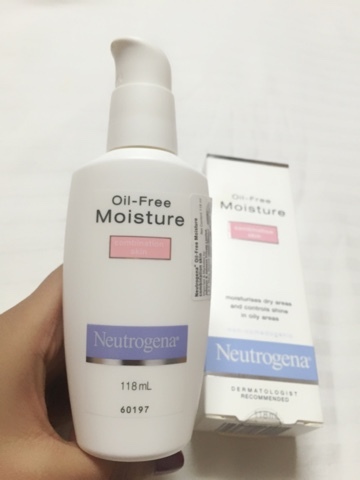 Neutrogena oil free moisture is for combination skin and I have a combination skin, I'm using this moisturiser only for the face from past two years and never thought of changing it because it does wonders to my skin. This moisturiser is lightweight, non greasy and moisturises where skin is dry, without leaving it oily or shiny. It is alcohol free, fragrance free and wont clog pores. 5. 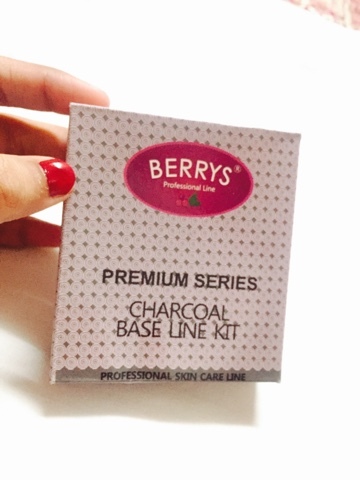 BERRIES CHARCOAL BASE LINE KIT. Using this product for the first time and this little packet is an atom bomb for the skin. Especially for the darker skin toned people. 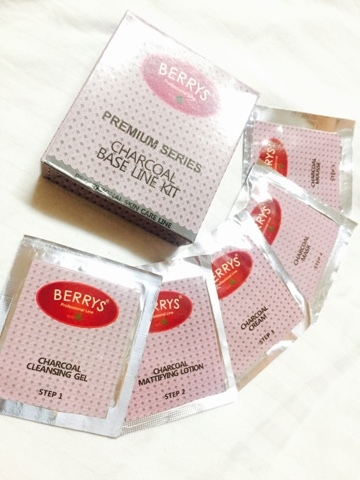 Its a one time use facial kit basically, with five steps to be followed Charcoal Cleansing Gel, Charcoal Mattifying Lotion, Charcoal Cream, Charcoal Mask and Charcoal Mousse. It is so affordable and give an amazing result. Highly highly highly recommend this product. 6. 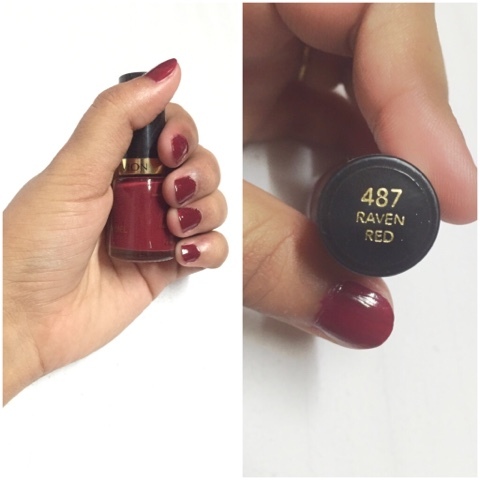 REVLON NAIL ENAMEL 487 RAVEN RED. Raven red is a pretty berry colour and berries are perfect shade for winters. Nails look pretty and the staying power is quite good. Easy to apply because of the good quality brush and dries quickly after applying on the nails. 7. 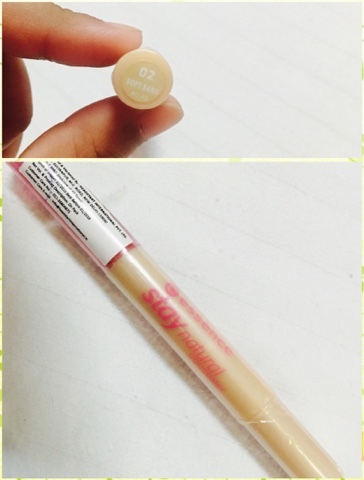 ESSENCE STAY NATURAL CONCEALER 02 SOFT SAND. I just love essence a lot and it is really disappointing when it comes to availability of essence products. I wish they were easily available everywhere. 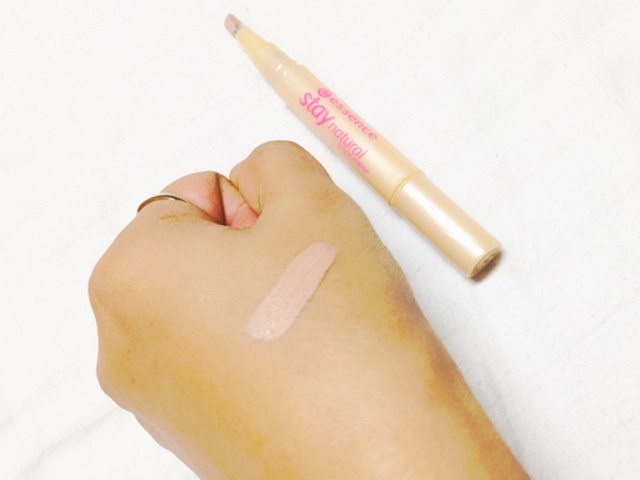 This liquid concealer in the shade 02 soft sand is perfect for my skin tone. It naturally covers the imperfection and reduces dark circles. The brush is really soft and easy to apply. Thank you for stopping by and reading the post hope you like it. There are lot many lipsticks and ethnic wear reviews are coming on the way :p so keep visiting. My Favourite L'OREAL PARIS Lipsticks. Faces Ultime Pro Matte and Starry Matte Lip Crayons in Wrapped Up09,Peach Me 08 and Hot Wired 04 Review. MAC Satin Lipstick RETRO A15 Review. MAC TWIG LIPSTICK REVIEW, SWATCHES.